You cannot miss the mighty Hohenwerfen Castle enthroned high above Werfen. A little more hidden from view, but no less spectacular are the largest Ice Caves in the world! Reason enough to pay a visit to Werfen. You cannot miss the mighty Hohenwerfen Castle enthroned high above Werfen. In the pre-Christmas time, the inner courtyard becomes a magical place. Reason enough to pay a visit to Werfen. With a direct connection to the Tauern Motorway, the historical market town centre of Werfen is embedded between the Tennengebirge Mountains on one side and the rugged rock of the Hochkönig Mountain on the other side. And high above sits the mighty Hohenwerfen Castle. A visit to the medieval Hohenwerfen Castle is an absolute must and an incomparable experience. With a broad view over the Salzach Valley, the castle once served as a defensive castle of the Prince Archbishops of Salzburg. Today, you can get to know this medieval castle and its history within the framework of castle tours. And once you’re there, you should not miss the spectacular falconry flight demonstrations based at the castle. Even in the summer you must dress warmly when you visit the legendary Ice Caves between April and October. The largest known Ice Caves in the world extends over 42km into the mountain. Accessible to the public is an approximately 1km long path, where one can be immersed in this fascinating ice world. Due to its central location, winter sports enthusiasts can reach numerous ski resorts in just a short time from Werfen. Thus, the Ski-Arena Werfenweng, only 8km away, is easily accessible with the free ski bus. 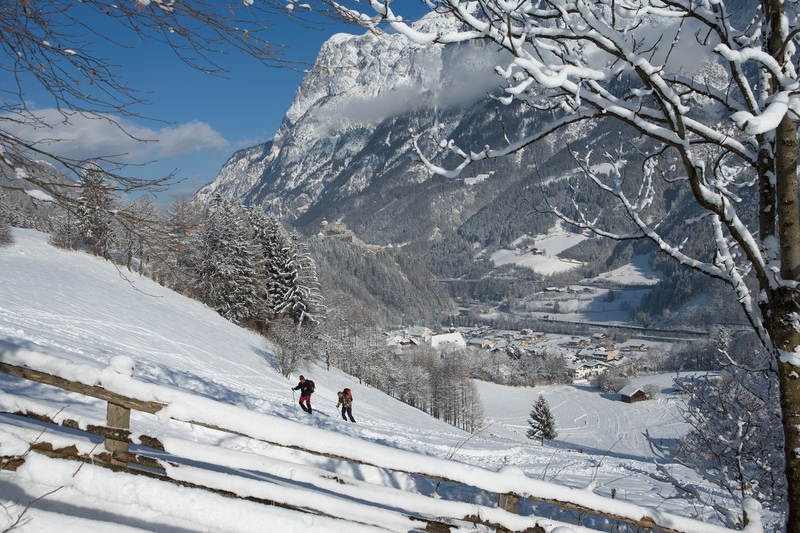 Werfen itself is, as the longest descent in the Eastern Alps, a paradise for Ski Tourers. Gourmets can enjoy the award-winning 4-Hat cuisine of the Oberauer restaurant. For years, this has been one of the best restaurants in the world. 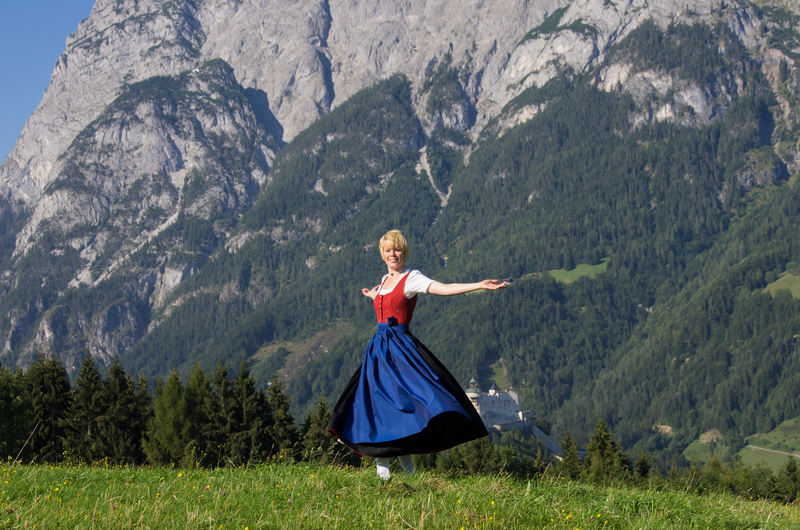 In summer, hikers can learn more about one of the most successful film productions on the new Sound of Music Trail. Not only fans of the film are enthusiastic about the so-called “Gschwandtanger”, because one of the best-known scenes was filmed here – in the background you cannot miss the Hohenwerfen Castle.